As the stand-off between Superman's Regime and The Greek Gods backed by Batman's Resistance continues, Superman sends out a call for help to all of his allies not yet arrived at the battle. 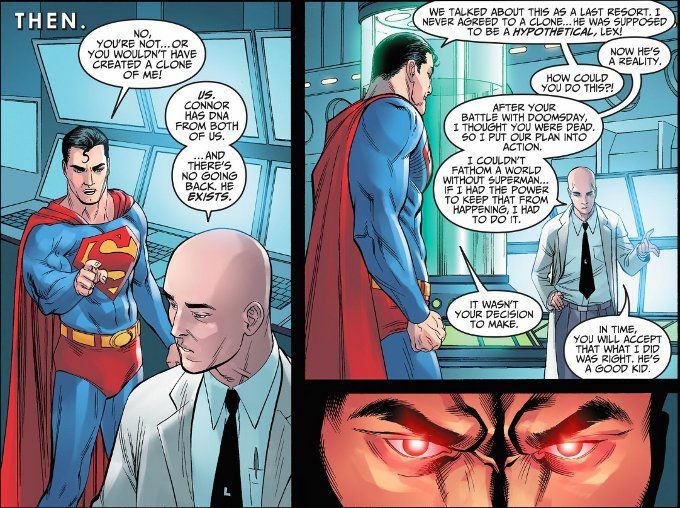 But Superman's allies have concerns of their own. And some of them are having second thoughts about assisting Superman in forcing peace upon the world. This week's issue is light on action but that's just fine. 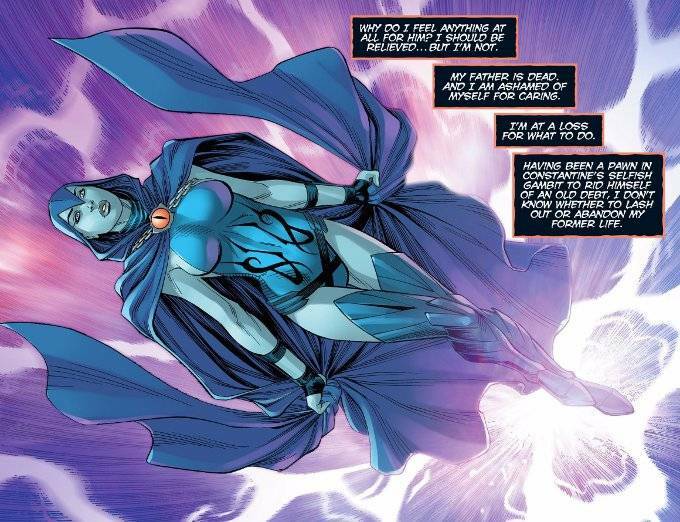 Brian Buccellato does a masterful job of exploring the emotional states of the supporting cast with this interlude episode, particularly in the short sequence involving Raven's thoughts and feelings in the wake of her father Trigon's death. There's also an enjoyable flashback, where we learn how Superboy Conner Kent came about in this reality where Lex Luthor and Superman have been fast-friends since their days together in Smallville, even as Lex ponders the need for another Superman clone. Mike S. Miller's artwork remains a high point of the series. His work loses some fine detail in the distance and middle shots, but his splash pages and close-ups more than make up for this minor incongruity. And the colors by J. Nanjan are vivid and visually enticing.